Before coming to Amigos, I was finishing up my senior year at WIU. Aside from my responsibilities as a student, I was a student-athlete playing on the Women’s Soccer team in addition to being involved with several other campus organizations. I have felt called to do a year of service since my senior year of high school but I was never sure what exactly that service would look like. A short study abroad experience in India as well as my decision to major in Spanish helped solidify my desire to do service both internationally and in a Spanish-speaking country. 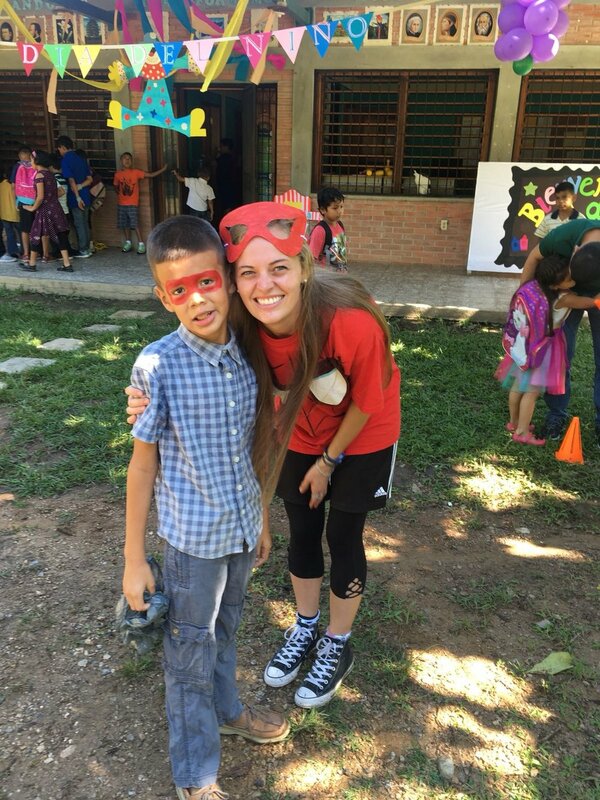 As I began praying and seriously thinking about a year of international service, I ran across the Amigos de Jesús website and it was just as if all the puzzle pieces fell into place. I hadn’t been 100% sure what I was looking for in a program or year of service but it just seemed like Amigos had everything – the chance to live in an intentional community and grow in my own faith, the opportunity to work with children, and the ability to help in the education and growth of children in their own cultural context to name a few. It's crazy to think that when I first came down to Amigos, I was convinced I'd only be here for a year and now here I am starting my third year! The last two years have been two of the fullest, most challenging, and most joyful years of my life, and I'm incredibly grateful and excited to get to hang around for one more. This year, my primary responsibility is that of the Volunteer Coordinator and something new called Hogar Projects. Basically, my focus will be on supporting the volunteer community, the hogar coordinators, and the hogar in whatever way is needed. I'll also be going on one dental appointment a month and spending time out and about with the kids on the nights and weekends, hanging out, coloring, laughing, etc.